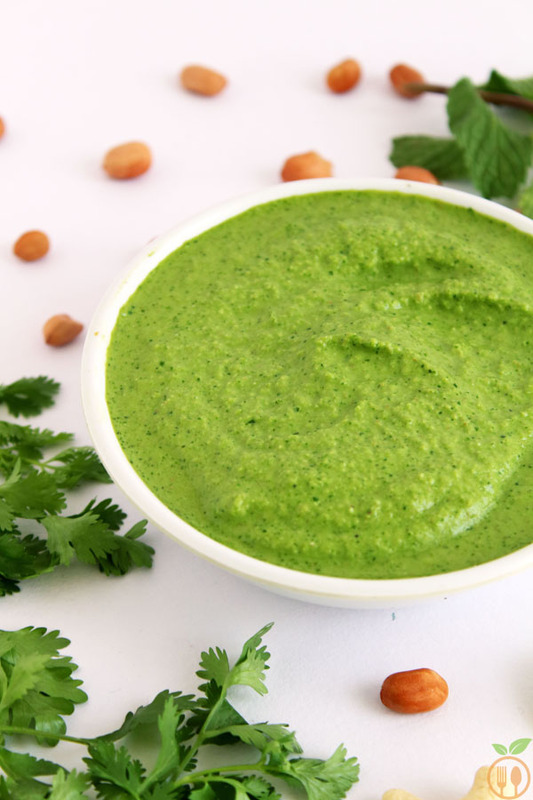 Magical Green Coriander Chutney is often known Cilantro Chutney or Cilantro Sauce in North America. 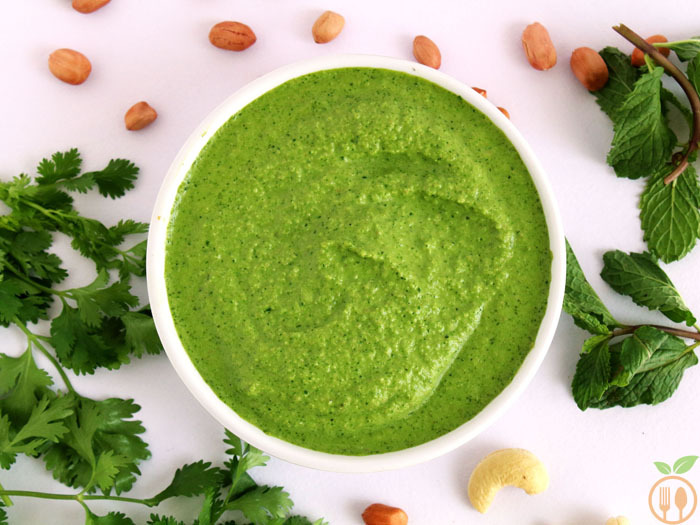 This green coriander chutney is a new specialty for the people who love sauces, chutneys and dips. I am more delightful to share this recipe with you friends!!! It is loaded with ordinary green chutney ingredients like cilantro (coriander), mint, salt and lemon. I have to admit here that, This recipe is inspired by a super successful food blogger and my ideal “Pinch Of Yum“. I am ready to start my career as food blogger not only because of this blog’s success but also considering their passion and dedication about food. Their 5 Minute Magic Green Sauce Recipe is inspiration to my magical green coriander chutney with Indian touch. Any Indian chaat recipe or bhel recipe is incomplete without green chutney. This is not the same chutney that is used by street food vender. This is not the green sauce that is used by some Mexican cuisine or American burger recipe, but this is my creation that will compliment all different cuisine. Why is this magical??? I can also say it as multipurpose. Because you can use it as chutney, dip, spread, sauce anything! The magic behind this chutney is not mint and cilantro (coriander) but adding some cashew nut will give it best taste with peanuts. 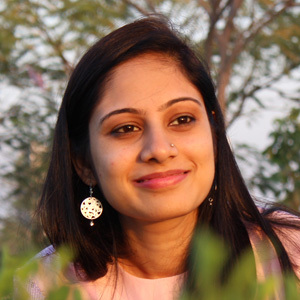 Perfection in proposition is always matters when you want to create a MAGIC! 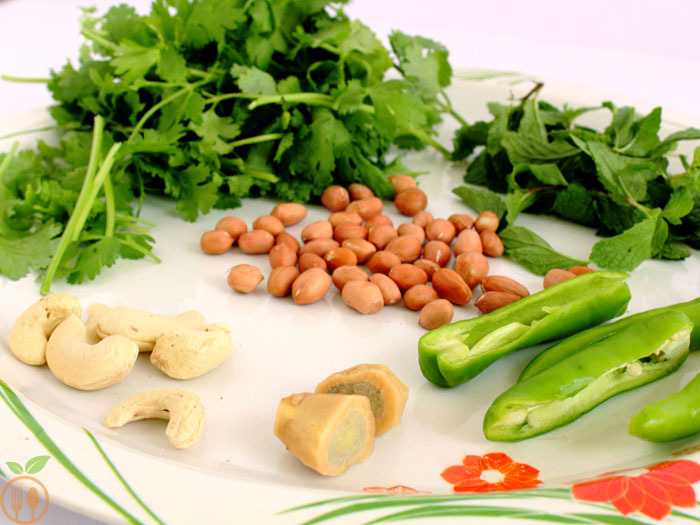 In Indian cuisine, you can use it in chaat or bhel recipe as green chutney. It is also a best compliment with tikkis, patties, kebabs, starters, pakoras, samosas or even in sandwiches. In Mexican cuisine, you can serve it as dip with some chips or crackers. You can use it in salad or quesadillas or wraps. Take proper amount of ingredients. It will create great result. 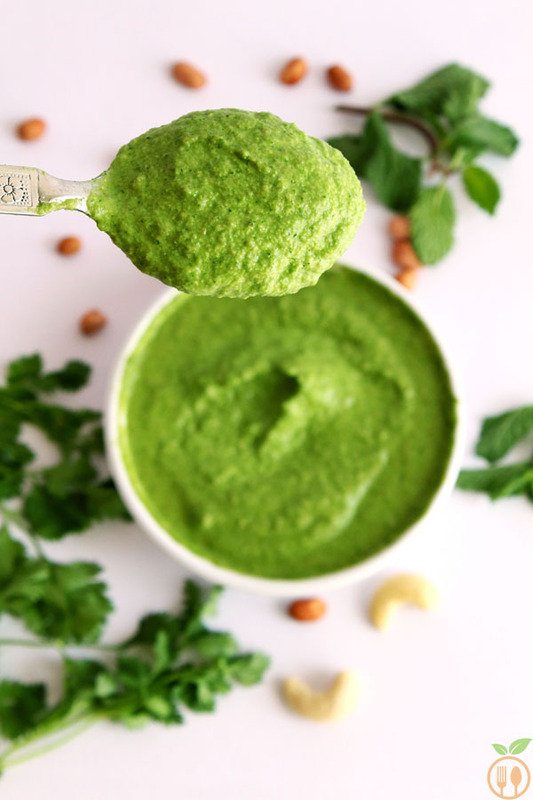 Magical Green Coriander Chutney is often known Cilantro Chutney or Cilantro Sauce in North America. 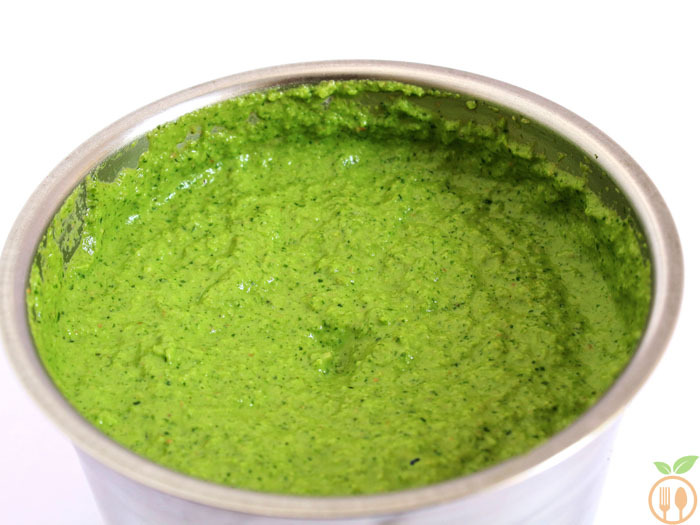 This green coriander chutney is a new speciality for the people who love sauces, chutneys and dips. I am more delightful to share this recipe with you friends!!! It is loaded with ordinary green chutney ingredients like cilantro (coriander), mint, salt and lemon. Pulse all ingredients except lemon juice in food processor until incorporated. Once it is ready, take out in bowl add lime juice and mix it well. You can also add olive oil to use in other cuisine rather than Indian. 1) You can store it in air-tight container in refrigerator. 2) You can store this sauce not more than 3-4 days.